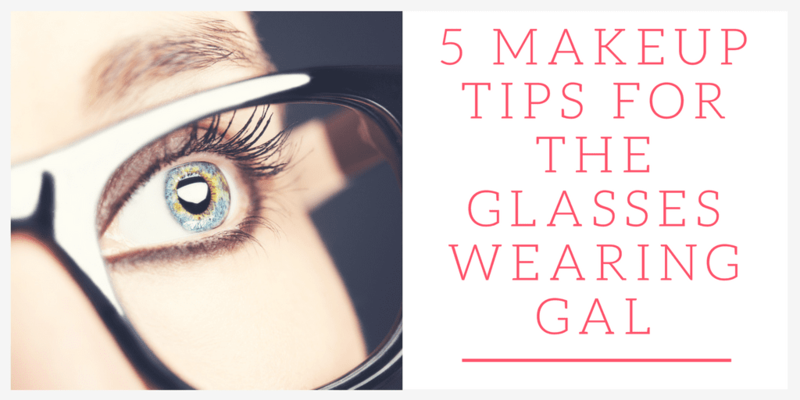 These 5 makeup tips for glasses wearers will help your eyes pop, your brows look amazing and overall give you the tips you need to be very happy with how your makeup looks. The process of putting on makeup is one of my favorite things in the world. Shopping for products and putting them all on is a blast, and the end result is always fascinating and fun. However, having to cover up the end result with glasses can be discouraging. Your contour is covered up, your eyes don’t pop, and constantly having to push up your glasses and rubbing makeup off is a pain. But there’s no need to worry. 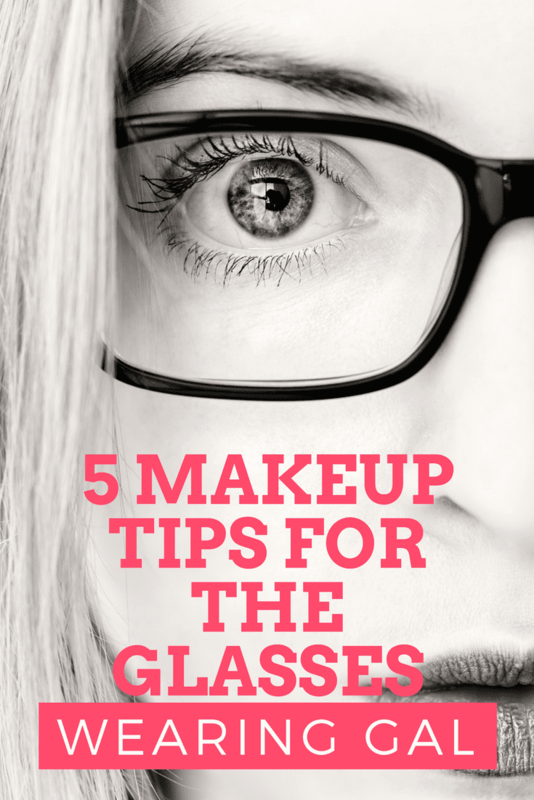 Here are 5 makeup tips and tricks for the glasses-wearing gal. Glasses have a bad habit of casting dark shadows under your eyes, making your dark circles even worse. To fix this, apply a lighter foundation or concealer under your eyes and around your nose to prevent those dark shadows from causing too much trouble. Glasses are a great excuse to play with eye makeup. Since glasses add to and draw attention to your eyes (of course) stick with simple makeup and neutral and bright colors so the frames aren’t overpowered. Also, feel free to experiment with eyeliner. This will really help define your eyes behind your glasses. Try and match the liner thickness to the thickness of your glasses frames to further complement your eyes. Use a volumizing mascara, and swipe white eyeliner on your lash line to make eyes appear just a bit bigger and more awake. When you wear glasses, your eyebrows are your best friend. If you have thinner frames, try and make your brows thicker, and if you have thicker frames, make them thinner, just to keep a balance. Use an eyebrow brush or spool to brush your eyebrows up and out. Not only do glasses draw attention to your eyes, but they also highlight your cheeks. Apply a light bronzer to the hollows of your cheeks, swipe the apples of your cheekbones with a light blush and your cheekbones with a highlighter, but not too much! The key to wearing makeup with glasses is to keep everything simple. If your eye makeup is pretty bold, go with a light pink, neutral lip. However, if the rest of your makeup is simple, don’t be afraid to play with a bold lip. Everyone’s got to have that one pop of color! I hope you glasses-wearing gals have a blast experimenting with your makeup. Your glasses are a great accessory and the perfect excuse to play with different makeup looks. Have fun! These are great tips! I have worn glasses my whole life, and It’s great to know these things to help out my makeup game! Thanks, Leah! Hope these tips help. I am a member of the 4 eyes club and these are awesome tips. I like to make my eyes stand out and my lips pop with color. great tips! As a glasses-wearer, I am always looking for new ways to make my eyes pop. I love your tip about the white eyeliner! Genius! Thanks for sharing!